Did you know that the Society has one of the largest collections of communion tokens in the world? 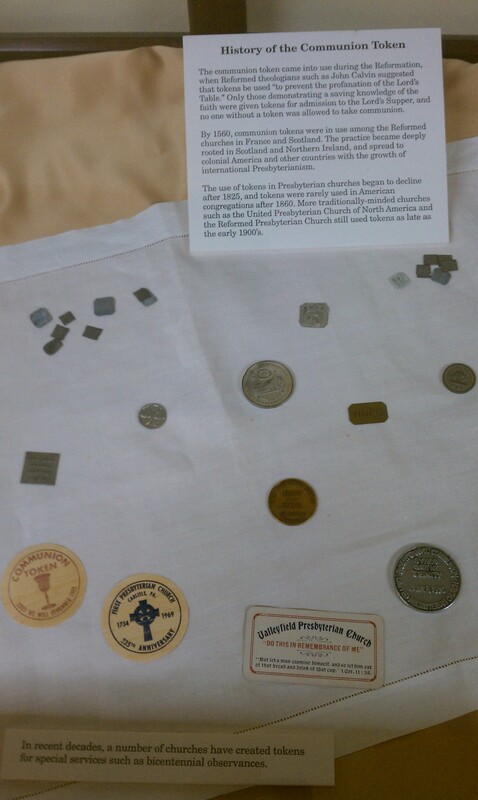 We hold thousands of communion tokens from the United States, Scotland, Ireland, and other European countries. Communion tokens originated with John Calvin and were used by worshipers in the Reformed faith beginning around 1560. The token system addressed early church irregularities regarding who could observe the Lord's Supper. Without a token, a person would not be admitted to the Lord’s Supper. The church elders typically collected the tokens using small wooden trays. For more information about the history of communion tokens, and illustrations, please see our website here . From the end of the nineteenth century, metal tokens were gradually replaced by communion cards, and rules regarding communion changed to allow members of other denominations to take communion on profession of faith.